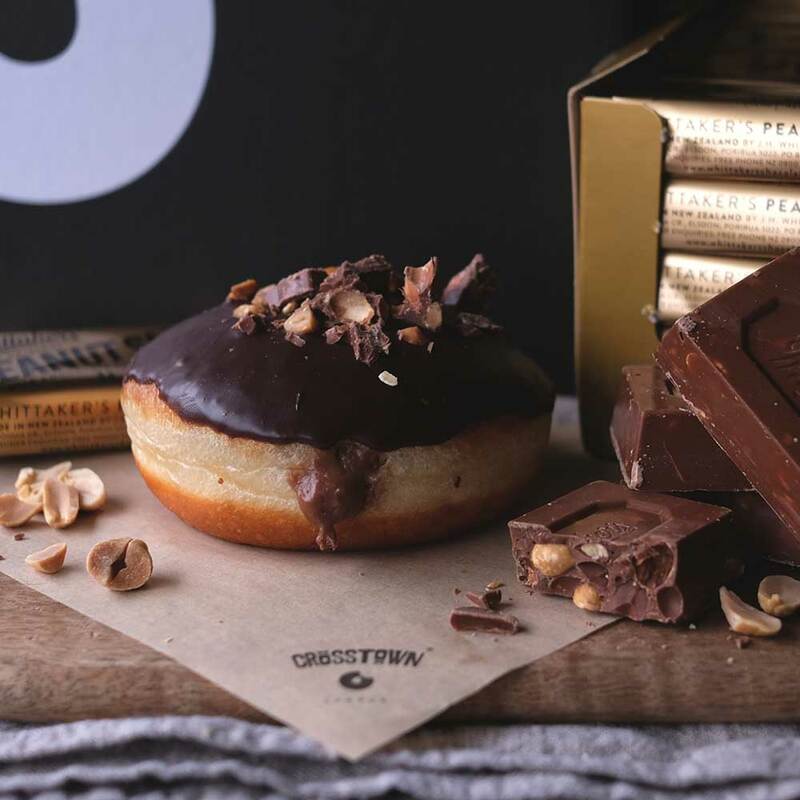 Filled with Whittaker’s Peanut Slab custard, topped with a milk & dark chocolate ganache and finished with chopped Peanut Slab pieces. The Whittaker’s Peanut Slab is an iconic New Zealand treat – which we’ve flown in directly from the factory in Porirua! Available 6th – 10th February 2019 (or until stocks last). 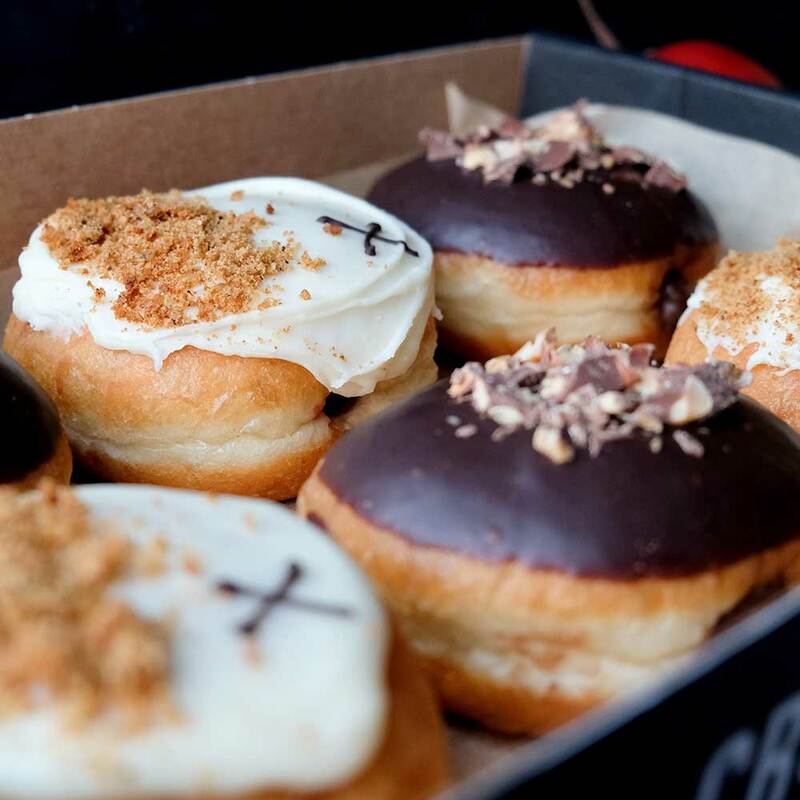 This limited edition box comes with 12 Peanut Slab and Tamarillo & Apple doughnuts. Pre-order for collection and we’ll shout you a free flat white! 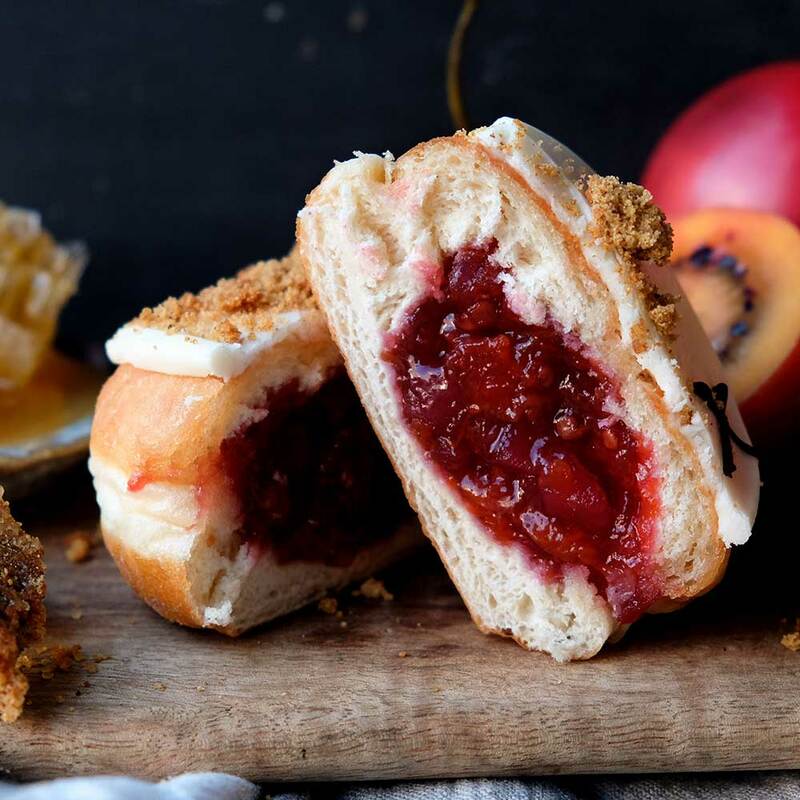 This Waitangi Day celebration doughnut is generously filled with tamarillo & apple compote. The top is smothered with a NZ Manuka honey icing and finished with Kiwi chef Peter Gordon’s homemade gingernut crumble. Available 6th – 10th Feb 2019 (or until stocks last) at all Crosstown locations throughout the city. Pre-order online for guaranteed delivery. Find your nearest Crosstown here.